Now enjoy dual selfie – expert camera with new OPPO F3 Plus Smartphone at 30,990. At this cost OPPO F3 Plus offers you lots of features such as 4,000 mAh battery, 6-inch display, a dual front camera set-up and many more. You can buy OPPO F3 Plus at 30,990 on Flipkart or Amazon. The F3 Plus sports dual front cameras – One for Selfie & One for Group Selfie to provide the best selfie experience to users. The 8 MP 120° wide-angle front camera will gives you a larger field of view to capture whole group of friends or family. The 16 MP front camera with large f/2 aperture produces natural-looking selfies with depth and minimised noise. So, let’s start capturing the memories of whole group in one click! The OPPO smartphone runs on a Qualcomm Octa-core processor, 4GB RAM and upgraded ColorOS 3.0. It also comes with “VOOC Flash Charge” that allows users to freely surf the web, watch videos or play games. The F3 Plus also uses cutting-edge power-saving optimizations, intelligently managing a user’s favorite applications to make sure they’re ready when they’re needed and not eating power when they’re not. OPPO’s low voltage solution keeps the phone’s internal cool even when the phone’s in heavy use during the charge-up. The company claims that 5 minutes of charge is enough for two hours of talk time. 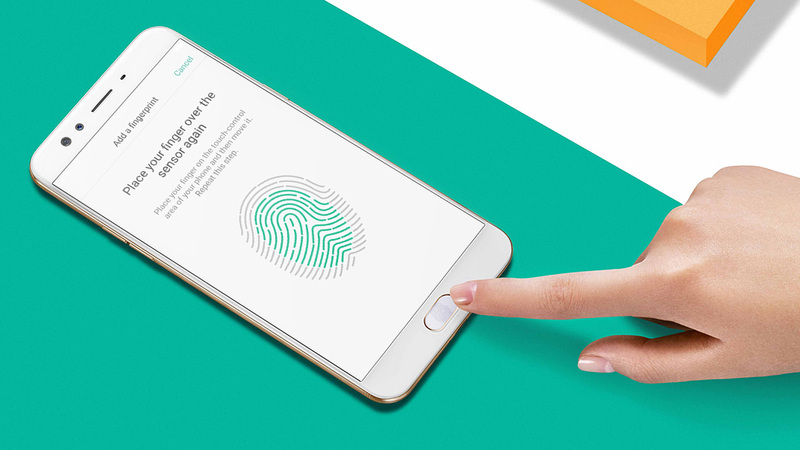 Upgraded Fingerprint: The F3 Plus uses an advanced solid-state fingerprint reader, so that only a slight touch is enough to unlock the device. The smartphone is equipped with a hyrdrophobic membrane that uses the same principle as a naturally water-resistant lotus leaf, the fingerprint reader has an enhanced success rate even when a user’s fingers are moist.